Our carnival costumes are faithful reproductions of the ancient and magnificent era in which the Carnival was considered a public festival and in which every Venetian walked around streets and squares wearing traditional masks: the Bauta, the Moretta, the Gnaga or simply wearing papier-mâché masks decorated with feathers, beads and embroidery. 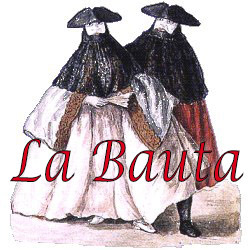 A fruitful period whose participation of all citizens decreed the very essence of the Carnival, where it was all part of a large masked stage, in which actors and spectators merged into a single and immense procession of figures and colors. 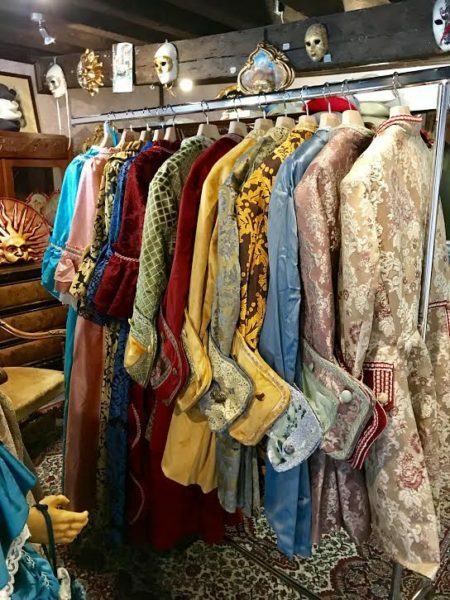 Renting the costumes at the Atelier LA BAUTA will take you into the world of a Carnival full of emotions and you will experience the sensation of being a Venetian in the times of the Serenissima Republic, when the unknown and the mystery were part of this wonderful collective rite.